“What do I do here in Lebanon?” people ask me all the time. I usually struggle a bit; I take a deep breath and I start explaining what micro-credit and micro-finance is. I tend to throw in words like: “lack of access to the banking system”, “Mohamed Yunus” and “giving the poor financial stability”. But even after a little bit of explaining, I still don’t know if I’m getting the point across. 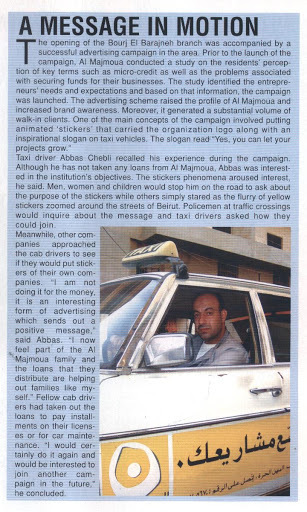 And I often find that when I say “loan” people immediately ask “How can I get one for my business?” So, I turned to Al Majmoua to see how local Microfinance Institution (MFI) in Lebanon is addressing this on a daily basis? “What can we do, but wait and see” a borrower told me a couple of days after the highly anticipated speech by Hezbollah’s leader, Hassan Nasrallah. Adapting to new environments can be tough, but adapting to ever-changing uncertainty is even tougher and it’s a skill that the people of Lebanon have mastered. 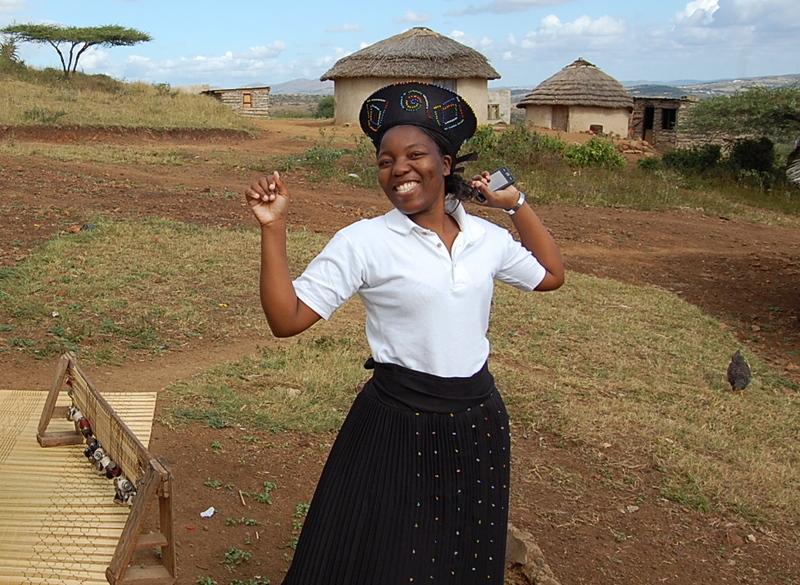 Learn about the tradition of Zulu weddings in South Africa. Find out how Kiva’s partners adapt the concept of microfinance to fit their country’s specific needs: from loans targeting borrowers affected by emigration in Ecuador, over a preference for group loans in El Salvador, to lending coupled with various training programs in Rwanda. Finish off your weekly reading by learning about crime-fighting Kivans in Nicaragua. This week, fellows located on three different continents were busy writing blogs to share their experiences. Learn what it takes to become a new Kiva partner in Ecuador, experience family-style microfinance in Lebanon, find out about a unique pig loan product in Indonesia, and get the inside scoop about being a Kiva fellow in Senegal. Having grown up in Egypt, I know that family is an important part of daily life in the Middle East. 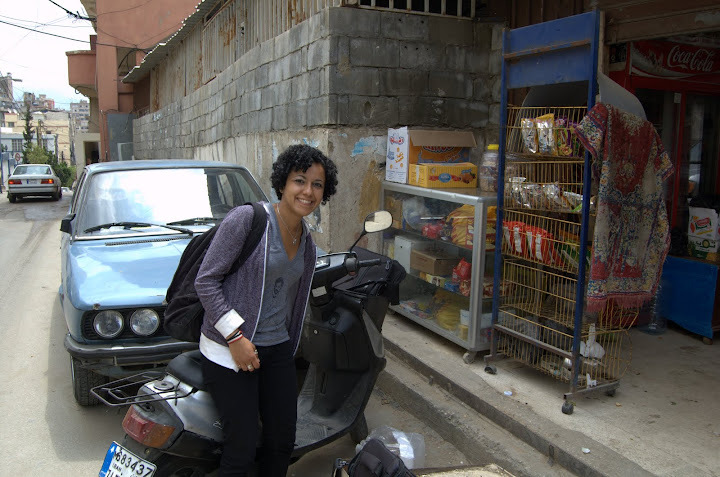 So, when it came to my Kiva Fellowship – I knew that in Lebanon I was going to be well-fed, watched over and taken care of. What I didn’t know is how this family-style love I was too familiar with was going to translate into the workings of micro-finance in Lebanon. When I arrived at Al Majmoua‘s Headquarters in the heart of Beirut, I was met by the head of Human Resources and Business Development, Alia. 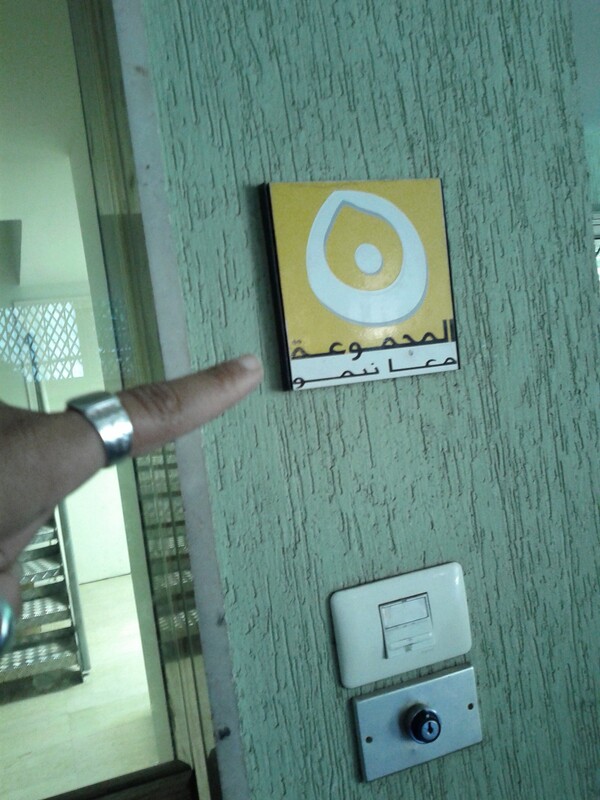 After a thorough 2-hour overview and introduction to Al Majmoua; one of my first questions to Alia was how long she’s been with the organization (followed, of course, by where the best place for lunch around was). The answer was: “10 years!” The idea of someone being in one organization for that long caught me by surprise, but it wasn’t until I started meeting other Al Majmoua team members that I started realizing that there’s something that keeps people here this long. Dr. Youssef, Al Majmoua’s executive director, has been with the organization for more than 11 years. Nadine, Al Majmoua’s Kiva Coordinator and Research & Development Assistant has been with the organization for more than 9 years. She’s done everything from being a Loan Analyst to Internal Auditing to HR and now Kiva. Nadine even left Al Majmoua for a year, but quickly found herself back at Al Majmoua. This sense of familial love and belonging isn’t just apparent by the number of years people have been here; it’s in their attitude! In a country such as Lebanon, where sectarianism has had a long and tragic impact on the people and the country – it’s refreshing and inspiring to watch a network of ~170 employees all over Lebanon maintaining a family style work environment. On my first field visit at the Beirut Branch, the Branch Supervisor, Diala, sat me down for a thorough introduction of the branch operations and procedure. During our conversation she said something that stuck with me: “Everyone at Al Majmoua behaves as if this is their home.” Later that day, I was introduced to Ismail, an Al Majmoua Loan Analyst. He was going to be my guide for the day. 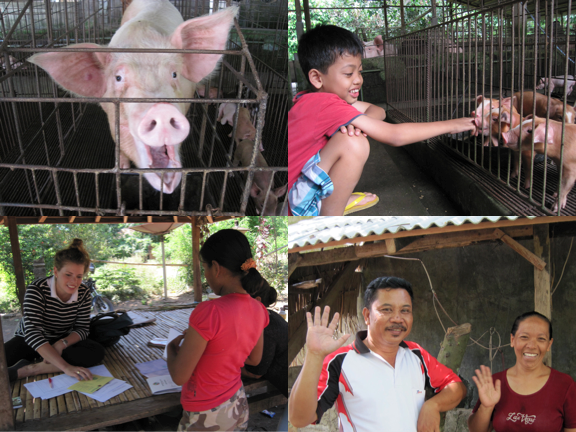 The plan was to go meet 2 new borrowers and check on a couple of existing Kiva borrowers. I had been carefully asked and semi-warned the day before by Nadine that I will be joining Ismail on his scooter or as the Lebanese call it “Motto”. Ismail was zooming through the Palestinian refugee camps and neighborhoods only like a local from the area would. Micro-finance is highly dependent on social relationships and reputation within the community. 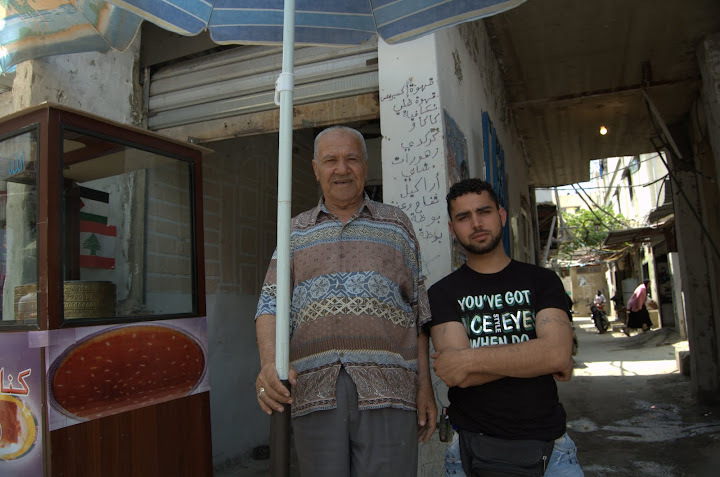 Ismail is a local; when he walks the streets of Beirut’s suburbs and refugee camps people know him as their neighbor. During our field visits, we ran into his father-in-law and cousin separately. When Al Majmoua first started in the late 1990’s half of its staff was made up of former borrowers. Now with ~170 employees and 14 branches across Lebanon, Al Majmoua still tires to keep the family connections strong. Today, roughly 30% of the loan analysts are former Al Majmoua borrowers themselves or are friends and/or relatives of current borrowers. Utilizing SMS technology, Al Majmoua’s HR team sends out job vacancy ads to their pool of borrowers to get referrals and applicants. This sense of “community first” extends to the interactions between borrowers themselves and how they view Al Majmoua. In “relationship-driven cultures”, like Lebanon, personal relationships are built on the basis of social interactions especially within the family and community. My first stop with Ismail was a new female borrower, Nadia; she heard about Al Majmoua through her sister-in-law who is on her 3rd loan cycle. Next we stopped to check up on longtime Al Majmoua borrower Mohamed and his son, Salah, a recent Al Majmoua borrower as well. During our visit, borrowers greeted Ismail and I like family. Often inviting us into their homes or businesses for an afternoon drink or snack. They often asked Ismail if he had received a call from a friend or a relative that they had recommended Al Majmoua to. Word-of-Mouth seems to be the organization’s strongest and most effective marketing tool. Besides being well-fed and taken care of as part of the family, I’m thrilled to be a temporary family member of an organization that stays true to itself and its community! To my family and friends (and possibly many of you) Bishkek, Kyrgyzstan is a mystery. Actually, until a couple of months ago, it was to me, too. Despite its noticeably disproportionate consonant to vowel ratio, Kyrgyzstan has never really been a lead actor on the world stage. My knowledge was limited to discerning that the country was a former Soviet state perched somewhere near China and Afghanistan. So, when Kiva advised that I would be calling Kyrgyzstan my home for the next four months, I started my research by heading to the Australian Government’s travel website. Fantastic! Kyrgyzstan had been ordained with a four out of five star danger rating – on par with only 18 other countries in the world. Were I to believe what I was reading, riots and covert terrorist operations would be part of daily proceedings, with the smell of revolution and escalating ethnic tensions permeating the air. So mustering every ounce of courage I could find, I prepared for this intrepid part of the world, armed with nothing but a noble cause. Having been in the country for three weeks, unfortunately, I must fess up – I am not nearly as brave as you might think. I’ve not had to don gas masks or weave my way through riot police – in fact, I’ve not been called upon to bumble my way through a single heroic antic. This week, the fellows continue to get their bearings in the field. Learn about the importance of trust in Cameroon, find out how political instability affects businesses and microfinance in Uganda, and take a trip to a fellow’s country mountain home in Cameroon.